Dog daycare services are very much in demand for a variety of reasons. For one, most couples work and more single people than ever now have pets. Overall, people lead very busy, hectic lives that take them away from home for long periods of time. And as people increasingly consider their pets their children, they often don’t want to leave their companion animals alone for several hours a day. 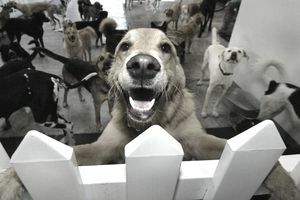 It has created a growing demand for dog daycare services. Plus, this can be a really fun business because you get to hang out and play with doggies all day! Here are some tips for successfully starting such a business. It is always a good idea to research the kinds of related services and facilities available in the community in which you want to launch your business. Not only will this give you an idea of what it will take to succeed, but you might also consider offering services that others do not, to get a paw up on the competition. Otherwise, the first thing anyone starting any kind of business must do is to come up with a business plan. You will also need to consult with a business attorney. Also, it is suggested that you utilize a business plan template, which you can find on the internet, or enlist the services of a professional business plan writer, which is money well spent and will help put you on the right track. Be sure to pay particular attention to any licensing requirements or zoning regulations within the community in which you plan to launch a dog daycare operation to determine if there are any restrictions. Of course, you will also want to come up with a memorable business name and logo. As you will be dealing with living beings that are essentially perpetual kids, always expect the unexpected, and prepare accordingly. You absolutely should establish a relationship with a veterinarian or pet medical facility that you may rely on in the event of a doggie medical emergency, and also acquire pooch first aid and CPR training. The American Red Cross offers pet first aid classes in various locations throughout the U.S.
Plus, you should have a well-stocked pet first aid kit on hand. Once again, the American Red Cross comes to the rescue with this handy list of the types of supplies you should have. And make sure that the environment in which you will operate your dog daycare enterprise is thoroughly doggie proof via the absence of any dangerous or potentially poisonous plants and other objects. Depending on one's level of experience with dogs, those who are new to operating a dog daycare business may want to consider dog size restrictions, especially if you opt to operate your business in your home. You should also ask the pets' parents lots of questions about any health or behavioral issues potential pooch clients may have. And always inquire about any possible dietary restrictions and the kinds of treats a dog’s owner may or may not want their pets to have. A great resource is Paws Dog Daycare, a website with loads of helpful, detailed info for those in or considering careers in this field. Another resource is the trade magazine Pet Boarding & Daycare, published by Barkleigh Productions, of Groomer to Groomer trade magazine and pet grooming show fame. Barkleigh also hosts an annual Pet Boarding & Daycare Expo; the inaugural event took place in November 2012 in Baltimore. With proper planning and resources, a dog daycare business can be a very rewarding, lucrative, and doggone fun enterprise. The Top 3 Dog Breeds in the U.S.
Get to Know the Northern Inuit Dogs on "Game of Thrones"